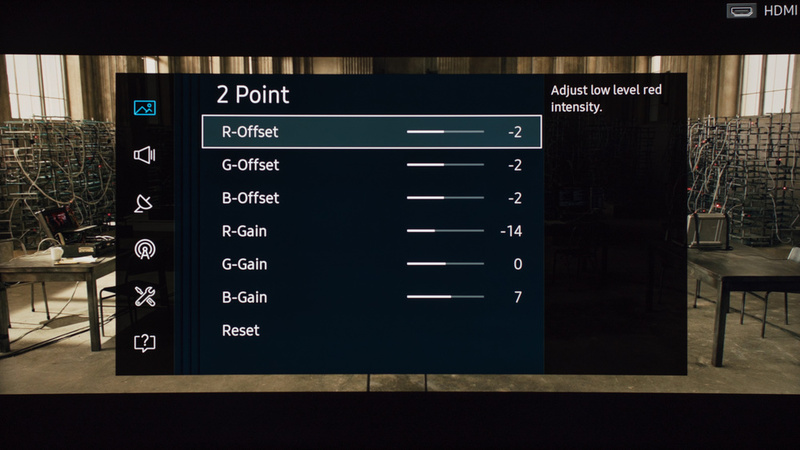 These are the calibration settings used for our review of the Samsung KU6500. They will be good for most content, especially for watching movies. 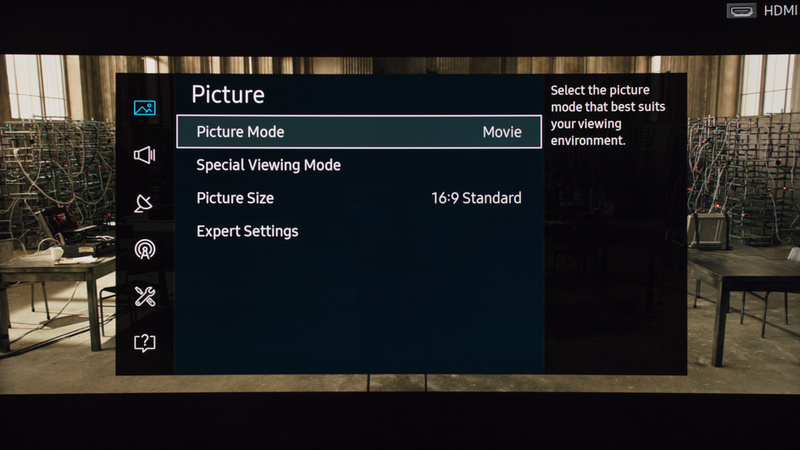 If you intend to use the TV for gaming, you can use the same settings, but first select the 'Game' picture mode under 'Special Viewing Mode' and copy the rest of the settings. If you intend to use the TV as a PC monitor, you'll need to change the device type by selecting the 'PC' 'Device Icon' from the 'Edit Device Type' menu, that can be accessed from the home menu, by pressing up and selecting 'Edit' when you are on the selected source. 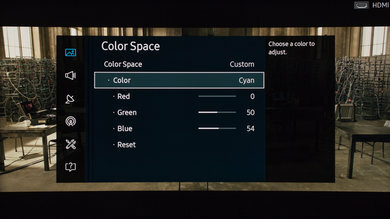 Note that some settings are not available while in PC mode. 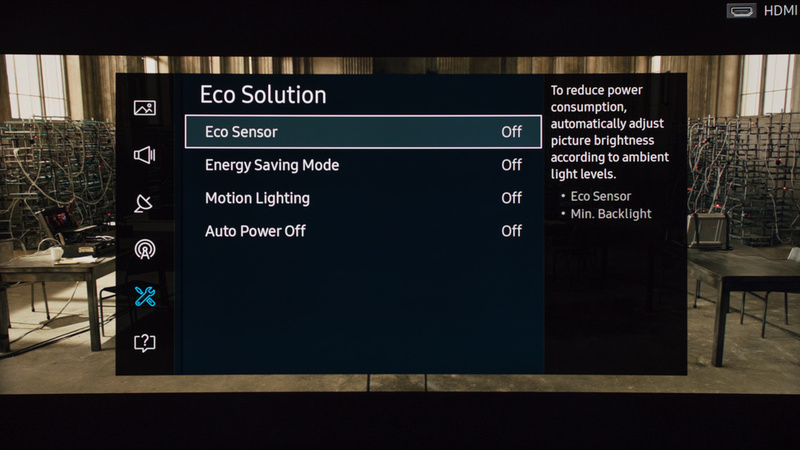 First thing we did was to set all the 'Eco Solution' settings off, since we did not want the screen brightness to change automatically, depending of the brightness of the room. We used the 'Movie' 'Picture Mode' since it is the picture mode that is the closest to our calibration goal. 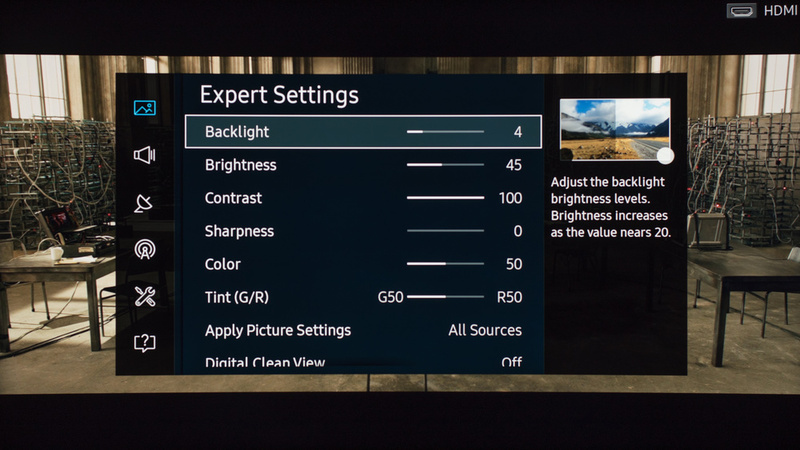 Under 'Expert Settings', we used a backlight value of 4 for our dark room. Adjust this value to your room lighting or to a comfortable level. Different backlight settings won't deteriorate picture quality. Set the 'Contrast' to 100, to get the maximum range of contrast and leave 'Sharpness' to 0 so no extra sharpness is applied to the picture. 'Color' and 'Tint' can be left to their default setting. You can turn on 'Digital Clean View' when watching low quality content like cable TV and DVDs, but it is better off otherwise. 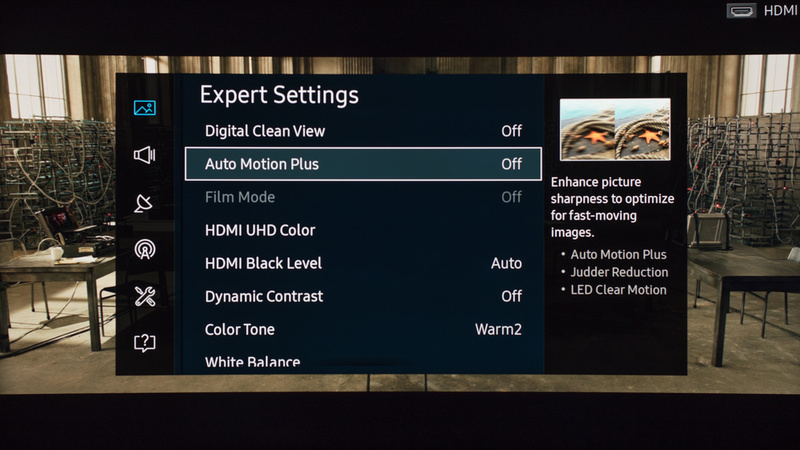 The 'Auto Motion Plus' setting will smooth motion and add the soap opera effect (SOE). Use low custom values like 3-4 for slightly better motion without much of the soap opera effect. 'Color Tone' is set to 'Warm2' to get that warm movie picture look that we aim for during our calibration. If you find the picture too dull or yellowish, use a colder value. If you are planning to use a HDR enabled device (like an HDR UHD Blu-ray or a HDR compatible game console) or want to use the TV as a computer monitor with a high detail resolution like 4k@60Hz 4:4:4, you will need to turn on the 'HDMI UHD Color' option for the port 1. If this option is not turned on, you won't be able to use the full bandwidth necessary to transmit all the information needed to display HDR or to display correctly the 4k@60Hz 4:4:4 resolution. 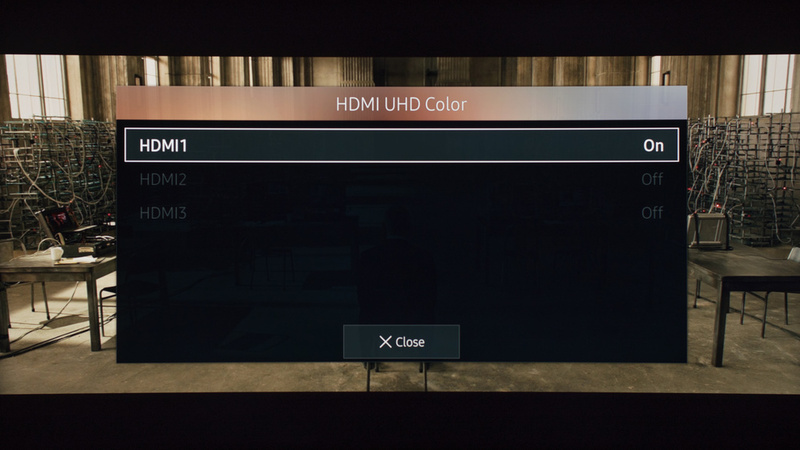 Note that the 'HDMI UHD Color' can't be used on HDMI port 2 and 3.